30 students got selected for Winfocus Solutions on 29th Dec 2019. 35 Students got selected for Surya Tech Solutions on 22nd Dec 2019. GVIT Tech Fest 2019 dates: 15th Feb 2019 and 16th Feb 2019. National Youth Day celebrations on 12th Jan 2019. 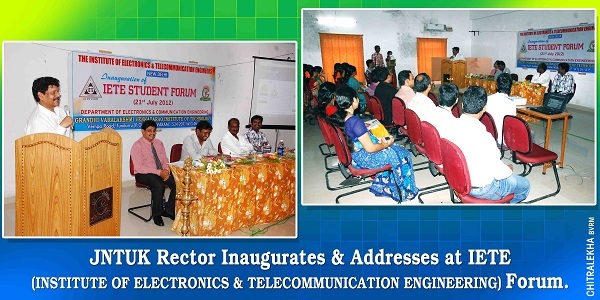 Established by Elite Education Trust in 2008, Grandhi Varalakshmi Venkatarao Institute of Technology is a dynamic and successful centre of higher education with a reputation for high quality teaching. 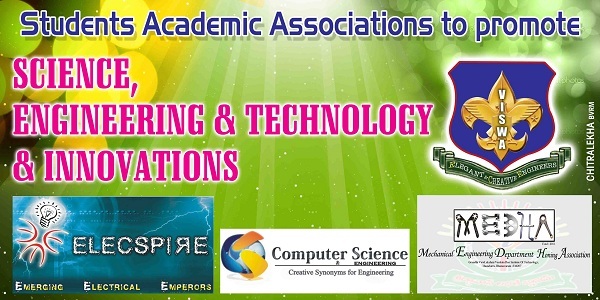 It is approved by All India Council for Technical Education(AICTE) and is affiliated to Jawharlal Nehru Technological University Kakinada. The college is rated as one of the best college in JNTUK. 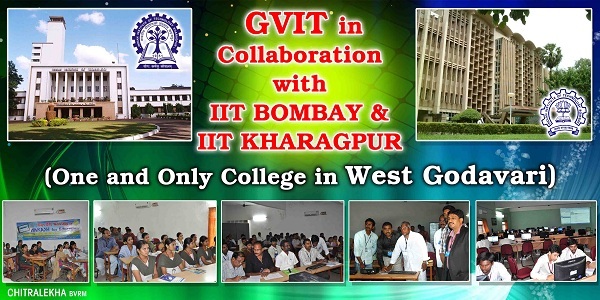 GVIT is located at Tundurru in Bhimavaram mandal of West Godavari district. This college has fully developed infrastructure facilities with a built up area of 1,60,000 sq.ft. 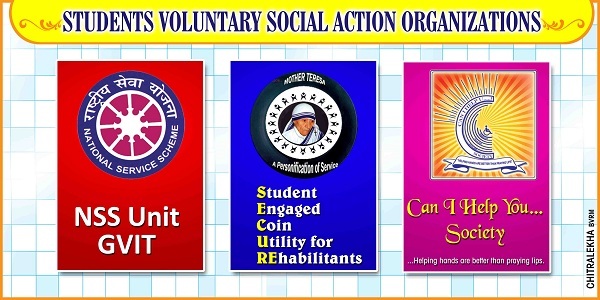 GVIT represents Rural India's urges, India's future and a symbological of the changes that are coming to India. 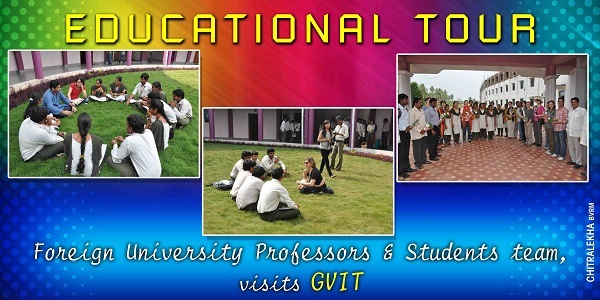 GVIT is UNIQUE with many salient features. GVIT Tech Fest 2k19 on February 15th and 16th 2019. Angular and React Training Program from 2th to 14th February 2019. On Campus Training by Winfocus on 8th February 2019. Campus Placement Drive by Winfocus on 29/12/2018. Campus Placement Drive by Surya Tech Solutions on 22/12/2018. First Year B.Tech. Class Work Starts from 07/07/2016. Students are requested to submit SSC & AADHAR card Xerox copies on or before 02/07/2016 to submit to JNTUK. IV B.Tech. I Sem Class work starts from 30/06/16. 2012-16 Batch all cleared students can apply for PC & CMM from 22/06/2016 to 27/06/2016. Please submit Xth, Inter & B.Tech Marks Xerox copies. Fee Rs. 300. FACULTY RECRUITMENT @ GVIT (CSE, ECE, EEE & MECH): Send Resume to jobs@gvvit.org. Assistant /Associate Professor in the Department of Mechanical Engineering are required through out the year. GVIT Students Y. Vamsi Krishna (Mech) & U. Karthik (CSE) got selected for WIPRO in the off-campus drve. Ch. Jagadeeswar Pavan Kumar (IIIrd Mech) is selected for Andhra Pradesh Junior National Hockey Team. He is going to participate in the Nationals to be held in Chattisgarh from May 5th to May 13th 2016. 10 Students from Mechanical and Electrical Branches have been selected by Cheverlet Automobiles.